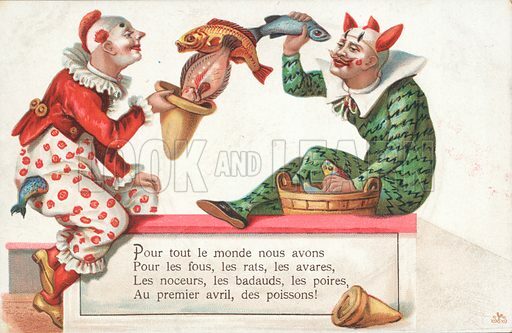 Clowns juggling fish for 1 April. French. Available worldwide for immediate download up to 4,956 x 3,229 pixels.